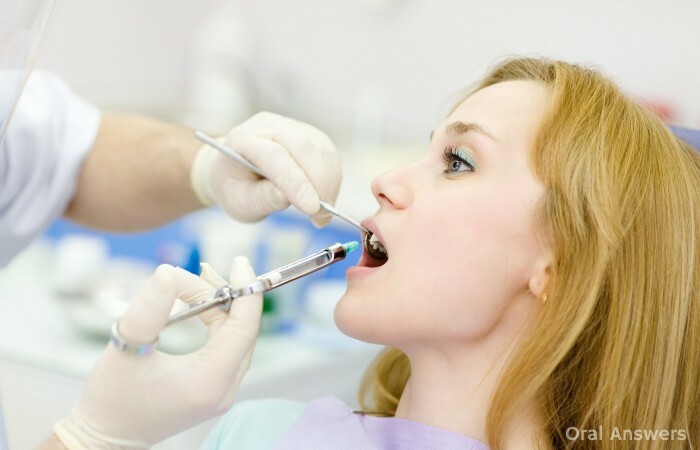 Home Oral Health & Hygiene Can Dental Anesthetic Really Make Your Heart Beat Faster? They called this the epinephrine reaction, and I blindly believed it. I even wrote a post about why dental anesthetic makes your heart beat faster. Until one day, this belief was questioned by a comment on that article (which actually caused Gavin to post a rather entertaining comment). I realized that I’d blindly believed what I’d been taught without doing any research of my own. In this follow-up article, I’ll answer the question: Can dental anesthetic really make your heart beat faster? A few weeks ago, a woman told me that she hates getting injections because it makes her heart beat really fast. I asked her if a dentist had ever offered her the anesthetic brand Carbocaine (a type of dental anesthetic without any added epinephrine). She told me that she’d never heard of it. I tried it on her and she told me that it was the first injection she could remember where she didn’t feel like her heart was beating out of her chest. Naturally, this (along with other similar experiences) made me a believer that regular dental anesthetic with epinephrine can indeed make your heart beat faster. As a dentist I realize that stories, while fun and exciting, may not be a very good source of evidence, so I decided to do some more in-depth research. The main question here is whether or not the small amount of epinephrine inside the dental anesthetic makes your heart beat faster or if it’s simply caused by the epinephrine your body releases in response to being afraid of the crazy dentist that’s about to poke you. Many years ago, it was thought that the tiny amount of epinephrine in the dental anesthetic made no difference in your heart rate, and any change in your heart rate was simply caused by the “fight or flight” response. Many studies have since confirmed that the epinephrine in dental anesthetic can cause an increase in your heart rate. One study states that “intravenous administration of 0.015 mg of epinephrine with lidocaine results in increase in the heart rate ranging from 25 to 70 beats per minute, with elevations in the systolic blood from 20 to 70 mm Hg.” For your information, one cartridge of dental anesthetic contains 0.018 mg of epinephrine — that’s even more than the amount pharmacy-no-rx.net that has been shown to increase the heart rate by 25 to 70 beats per minute. Here’s a link to one of those studies that discusses this. That simply says that the epinephrine in dental anesthetic can make your heart beat very fast, even tricking it into beating as fast as it would if you were exercising. Even more evidence that dental anesthetic can make your heart beat faster comes from the American Heart Association. They recommend that any patients with heart disease receive a maximum of 0.04 mg of epinephrine from dental anesthetic. That’s usually the equivalent of just two cartridges of dental anesthetic. For comparison’s sake, a normal person without heart disease can receive up to eleven cartridges of anesthetic. This shows that the AHA believes that the epinephrine in dental anesthetic can have an effect on the heart, and that’s why they recommend limiting it so strictly. The textbook Dental Management of the Medically Compromised Patient confirms this by stating “If [a vasoconstrictor] is considered essential, use cautiously (maximum 0.036 mg epinephrine or 0.20 mg levonordefrin).” Levonordefrin is similar to epinephrine, but it is mostly used in European countries, not in the U.S.
Lastly, the American Acamedy of Pediatric Dentists even has guidelines for dentists telling us what to do when a patient has a reaction to the epinephrine in dental anesthetic. They say to reassure the patient, ensure they’re breathing well, and to check their vital signs if necessary. In summary, the most recent studies and evidence all point to the fact that the epinephrine (or levonordefrin for my European friends) can definitely make your heart feel like its beating out of your chest! Do you have any questions about dental anesthetic and how it affects your heart? Feel free to leave them in the comments section below. Thanks for reading! I am a healthy 57 y/o female who recently experienced this phenomena… pounding heart w/ migraine…. I went to the dentist today because a year ago my filling and a piece of my tooth broke so there was nothing I could do because I couldnt afford to fix it till I found this dentist and I couldnt stand the pain anymore so I told him my blood pressure was a little high I know this because I have it checked myself …Im 36 female and yes im overweight at 5’7 270 pounds he gave me an anesthesia shot and a couple seconds later I felt my heart beat faster , dizzy and like I wanted to faint and also felt nauseous I got really scared I went out to get fresh air then I felt better is this normal? Hello. I was intrigued by this post because I personally had a similar experience recently at the dentist. When he injected the anesthetic, I had a quick warming sensation all over and it felt like it affected my heart beat significantly. It made me a bit fearful, but I waited to see if it would subside before making a fuss, and it did. I did have to tell the dentist that I was not numb at all afterward, though. He had to try again (successfully) and all was well. Thanks for covering this topic! Hi and thanks for the information. I’ve experienced this extremely fast heart rate three times in my life. All of them happened when I had local anesthesia from the back corner of my jaw. The last one was today when I went to my dentist for a filling on the very back tooth. As soon as my dentist injected my vision got darkened and then I felt like my blood pressure increased and then my heart beat tilted(increased). Actually it was like I ran very fast and was out of breathe. It’s a little bit scary but it goes away after1-2 minutes.however this time my shaking took more than 2 minutes and doctor made me lie down until I feel normal again. He said it might happen when the blood pressure is very low and most of the time it’s psychological.I wondered what the real reason behind it and I found this website. Thanks for the answer. Thanks for your articles. Very informative. Today I had a root canal done on lower molar. Dentist numbed my mouth and began to drill the hole, but it was still sensitive so he did another injection, this time he using an interligamentary anesthesia. After he injected it, my heart rate increased and became irregular. I became dizzy and they had to stop the procedure. He took off the rubber dam and put a plug in the hole he had started and waited for the drug to wear off, which took nearly 30 minutes. I’ve had root canals, crowns and implants in the past and have never had such a reaction. I’m not one who gets nervous and has a racing heart beat just sitting in the chair. It’s truly the first time I’ve ever experienced it and I have to say I was very afraid. The stories of people dying because of anesthesia at the dentist ran through my mind. I felt very unstable. The dentist said it was the adrenaline in the anesthesia that can have that effect – but my question is what is “interligamentary anesthesia” and how is it any different then the anesthesia given to initially numb the mouth. Glad I googled this and found out I am not the only one this happens to. The last three times at the dentist I have had this horrible sensation. It was with the very back bottom molar. I thought I was dying – my heart was racing and I was gasping for breath. The dentist had me sit upright and had me take slow deep breaths. It was at least ten minutes before my heart stopped racing and I felt normal again. My dentist told me it was not uncommon for this to happen and he could not guarantee it wouldn’t happen again. Of course now I am very afraid to get freezing again. I HAVE EXPERIENCED A HORRIBLE ROOT CANAL PROCEDURE AND AM FEARFUL MY HEART HAS BEEN DAMAGED. THE ROOT CANAL SPECIALIST TO WHOM I WAS REFERRED BY MY DENTIST OUTLINED THE PROCEDURE WHILE I WAS IN THE DENTAL CHAIR. THEN HE SUGGESTED TO BEGIN IMMEDIATELY. I DO NOT REMEMBER HIM TAKING NOTE THAT I HAD HAD A HEART ATTACK SEVERAL YEARS AGO AND THAT I MUST PREMEDICATE–WHICH I DID NOT! THE INJECTION DID AS YOU HAVE OUTLINED. MY HEART BEAT SO RAPIDLY I WAS FRIGHTENED (I AM 80 YEARS OF AGE). HE TOLD ME TO COME BACK IN TWO WEEKS TO PUT THE PERMANENT FILLING IN. I WAS UNCOMFORTABLE IN THOSE TWO WEEKS. I DID PREMEDICATE FOR THE SECOND SESSION AND THE SAME EXPERIENCE. AFTERWARDS I HAD MUCH MUCH DISCOMFORT AND PRESCRIBED AN ANTIBIOTIC WHICH I WAS TO TAKE FOR A LONG PERIOD OF TIME. HALFWAY THROUGH I HAD REACTIONS AND STOPPED TAKING THE ANTIBIOTIC. AT NO TIME DID I SPEAK DIRECTLY TO THIS DOCTOR AFTER THE PROCEDURES–ONLY HIS CLERKS! AT THE PRESENT TIME, ALMOST 5 WEEKS LATER THE PERMANENT FILLING HAS DISINTEGRATED AND NOW I MUST GO TO MY REGULAR DENTIST AND I AM SCARED STIFF. I HAVE BEEN EXPERIENCING RAPID ERRATIC HEART BEAT AND HAVE MADE AN APPOINTMENT WITH MY CARDIOLOGIST. THAT IS MY EXPERIENCE AND I WOULD LOVE TO CENSURE THIS SPECIALIST FOR HIS CAVALIER ATTITUDE TOWARD SUCH A DANGEROUS PROCEDURE! Tell them u want carbacain WITHOUT THE EPERINE EPERINE IS WHAT SPEEDS YOUR HEAT MAKES IT BEAT FUNNY .CARBACAIN WITHNO EPERINE U CAN t TELL ANYTHING AT ALL I HAD THIS PROBLEM THEN I FOUND out ABOUT THIS A DENIEST TOLD ME THEY GIVE IT TO PEOPLE VERY OLD WITH HEART PROBLEMS .NOW THATS WHAT I USE U CANT EVEN KNOW U HAD AN INJECTION IT IS GREAT,,,,! I had two different dental procedures in the last 2 years that involved numbing injections. The first was the extraction of all 4 partially impacted wisdom teeth. During the procedure, I began to feel some pain and a second injection was given. It was during this second injection that I started to feel some heart palpitations. It didn’t feel like it was beating out of my chest, but rather like it was fluttering. Shortly after that I also got the chills and they had to cover me with a blanket. Like many, I assumed these reactions were related to my fear, the length of the process and the extra injection. More than a year later, I suffered a fractured molar where I had a filling. I saw a different dentist this time because I had moved, and he created a temporary crown for me while my permanent crown was being made. I also received an injection before this procedure, although I don’t know if the medicine was the same. This time I didn’t have any heart symptoms, but I once again had the chills. What in the world causes the chills? Hello. I live in the UK and have always had problems with the epinephrine part of an injection in local anaesthetic, both at dentist and in minor surgical procedures. I recently had to have treatment from a new dentist and told him of my problems. He used ‘a quarter’ of the usual amount of epinephrine in the local, but 15 or so minutes after the procedure started I began to shake uncontrollably from head to foot. This continued for about 10 to 15 minutes – by this time I was sitting in the reception area and was aware of a number of staff ‘randomly’ passing by who were clearly coming to have a look! The following day I had another filling, no epinephrine, and was absolutely fine. The dentist admitted that my reaction was very unusual. Unfortunately I also needed a root canal (so annoying after regular dental check-ups for years), and part one of the procedure (without epinephrine) was pretty agonising. The dentist was very kind and obviously felt really bad about hurting me but unfortunately the problem was quite extensive and I have to go back this week for part two! I have spoken with the dentist about it and he says that we will try with the epinephrine-free anaesthesia but if it is not effective, he may have to add a tiny amount of epi to complete the work. My real terror is from the injection, not the root canal – I’d almost rather have the pain. The dentist says that the epi might make me feel bad again, but it cannot do me any permanent damage. Please could you reassure me that this is correct?! (By the way, my eldest son also reacts very badly and goes grey and faints with only a tiny amount of epi, but is fine without. I have mild, but controlled blood pressure and no other health issues). Simple ask for needles w.out it. Call ahead so they have it on hand. I had this happen to me where 6 needleswith epi missed and went to my blood. It is very much possible that your heart rate changes when dental anesthetic is administered.The epinephrine does several things,such as constrict blood vessels and speed up the heart rate.This could also happen if some of the medicine from the injection ends up in the blood stream. A year and a half ago, I went in to have my two wisdom teeth extracted. While I was naturally nervous, I wasn’t exceptionally nervous and was ready and prepared to face the process. I had the first two removed a few years back so I knew what to expect more or less. As soon as my oral surgeon injected my gums, my heart instantaneously began to beat so fast that I thought I was about to go into cardiac arrest. My face became very flushed and my heart raced faster than I have ever experienced. The palpitations lasted quite long as well. I can tell my surgeon became quite nervous as the symptoms were unsettling. I am a nurse and knew this was bad, especially because the symptoms took some time to subside. I was quite scared that I was in a bad rhythm. He ended up letting me rest for the next 15 minutes while having his assistant observe me and then came back to inject and remove the teeth. At that point, I experienced mild palpitations that were much more tolerable. Hi Steph – Sounds like you got some epinephrine in the bloodstream. Thanks for sharing – I’m glad everything went well! I just had a tooth pulled. Normally they take my blood pressure before doing anything, but not today. Of course after the injections of numbing medication my heart raced as usual. So right before the extraction the assistant came in and took my blood pressure which was high. She took it twice to make sure. I never have high blood pressure and have never had any problems with it. Did the numbing injections cause my blood pressure to be high? I have experienced those horrible feels after having a epi injection at the dentist. My dentist gives me the non epi shot now. But a few months ago I had the non epi shot and got the same reaction. He said maybe I was scared but I wasn’t. But now I am. I would rather get drilled with no numbing then experience that minute of terror. Pain does not scare me but my heart pounding does. It doesn’t help that I have panic disorder to begin with but the dentist was never a place that gave me panic until now. Also on a side note…when I have surgery and they inject your hand with numbing agent to put in the iv line that makes my heart race also. So was it a fluke that my heart raced without epi? Did the dentist use the wrong one and not realize? I did have a root canal after that with no epi and no heart race. Could the dentist have injected in the wrong place and cause that reaction? Also my dentist tells me that non epi wears off quickly but with non epi I am numb for seriously 4 hours afterwards. Could I just be extra sensitive to meds? I have been to a heart dr and confirmed my heart is fine. I have had the exact same experience as you. I’m wondering if you have ever found out anything? Same here! I had a problem with an injection once (heart jumping out of my chest/panic) and they said it was the epi. Went to a new dentist and he said he never uses injections with epi. I’ve had a ton of work done with him and no problems until recently. My heart did the same thing that it did several years ago! He said there was no epi and I was just nervous (um, no) but after he left the room the hygienist told me there WAS still some kind of vasoconstrictor in it. Both times have been lower right molar, so my theory is that I’m sensitive to something and it’s worse when they numb the bottom right. A few years ago I had a dental procedure and after the injection I reacted very badly – I thought I was dying. My heart was racing, I couldn’t breathe, my vision was clouding up. I remember watching the dentist and assistant and wondering why they weren’t calling 911. Eventually I could breathe again and I asked him what happened? He said, oh, probably the epi – no big deal. Well, it was for me. He did use the non-epi after that. Today I had a local anaesthetic to have a tooth removed. I became very concerned when my heart started to beat very fast just after the injection. I have angina and wondered what was happening to me. Thankfully it did calm down after a few minutes. It was reassuring to read that others have experienced the same thing. I recently had 2 cavities filled (both 2nd molars on right side), the first time I needed any dental work in nearly 15 years, so this was my first adult experience with being injected. They did the injections and within a few minutes I thought I was on the verge of an extreme panic attack. I suffer from anxiety, so the racing heart feeling was something I was used to. The hygienist said that it sometimes happens because of the epi. I can tell you that I will never allow a dentist to give me this sh** again! Had my first epi shot yesterday and my heart went crazy. I’ve been to numerous dentists over my 66 years and never experienced this. I will make damned sure that the next time I go to a dentist, that they don’t give me epi (or whatever it’s called) again! Who would willingly go to the dentist knowing that they are going to have a mini heart attack???? 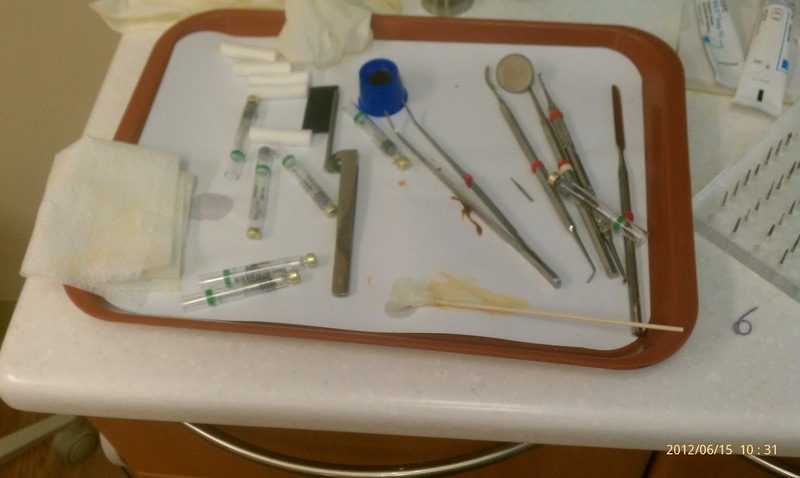 Today I had 2 major fillings with 9 injections. .7 to start with but during drilling I could feel pain in both so extra injections given. Last week I had 2 more fillings and for the next two weeks I have more appointments for more fillings. I am fit and healthy and exercise every other day. I went for a run after the numbness wore off..half way through I experienced palpitations, shortness of breath, and my heart felt tight. I stopped immediately and had to sit still for a while until all calmed down. Thought I’d have to ring 999! So scary. I googled running after dental anaesthesia and now I realise it’s not a good idea ever. Hello, I went to the dentist yesterday to have a filling. The dental hygenist injected the anesthesia (epinephrine). I wondered why she was doing it, I’ve always had the injections done by the dentist. I live in wy, is that legal? Well, very soon after she left I got an awful headache. My heart was pounding, i felt tightness in my chest. I tried lifting my head off the chair and i couldnt, it felt like it weighed 50 pounds. My neck was stiff and I just could not lift it up. I was afraid that I was going to have a heart attack. The hygenist eventually came back, i told her what i was feeling and she said that it was normal, that it was from the epinephrine. The dentist later came and began working on my teeth, i was feeling pain, so he had to inject me again! But used novacaine this time. I went home and went straight to lie down on my couch for atleast an hour. I just didnt feel good. This is so unlike me. I always have so much energy. Later that afternoon I went for a walk, i hadn’t walked for even 4 minutes and my heart was pounding and I was so out of breath. I ran 3 miles that morning and was fine. What is going on? I’m so afraid that damage has been done to my heart. It’s been over 24 hours since the injection and my heart pounds and hurts so easily over anything, just simply by walking. I’m really scared will i be like this forever? Same thing here. Last trip to the dentist for a filling I had the horrible reaction of heart pounding and shortness of breath. Never had that happen before, even my dentist was surprised by my new reaction but he wasn’t concerned and assured me it would pass in a few minutes. He halted the procedure and sure enough it passed but it was scary, really scary. Next visit no epi for me if possible. Next time call ahead of appt to ask for needle w. no epi. I also had that reaction lasting long time – is that the epi? I have had palpitations before but not from dentist. I had gallbaldder surgery in the last month – would this make me more sensitive? I too, had a strange reaction after gall bladder surgery – not sure if it was a one off or not but will discuss the no epi next time I need dental work. I am due for cleaning but decided to wait a bit to make sure I don’t have any more reactions! This happened to me once on a impacted lower wisdom extraction I felt flush aka hot all over my face. I had shaking and a racing heart. I thought it was anxiety. Half a year later and after a root canal, and another filling I went to the dentist for just a simple filling in my lower molar (opposite of the extraction site). I hadn’t had problems anymore with the shot but yesterday I had a lower filling and I just got very hot, I felt like I was going to die my heart pounded so fast and hard, and I began shaking! It was so severe I called the dentist over to me and told them what was happening. My heart rate was very rapid it took about 5-10 minutes after the injection for this effect to go away. I am told I am not allowed to have the injections with epinephrine now because I have this side effect, he said. I feel stupid like did I have anxiety or is this real? Because after that episode I was fine and he did the work without a problem. I didn’t feel like that anymore! I am betting I got it into my blood stream for the filling and the extraction because I haven’t had an issue much in the past. I will note my reaction from now on though! I never want to go through that again it feels like you have ran very fast up a hill you are out of breath, your heart is racing, you get shaky, and you feel hot! Does anyone havd and insight on this while pregnant? I went in for a root canal today and recIeved MANY injections and none took. After the maybe 10th I had this reaction. Before the procedure my blood pressure was already pretty high. Oh my. This happens to me every time I get an injection at the dentist. I can feel it coming on: I start feeling a little weak, them my heart races and pounds so hard. You can even see it pounding as the drape they put over you moves with every beat. I also have terrible apprehension. I get so scared every time. I’m afraid to say anything to my dentist though. Should I tell him? Will anything bad happen someday? You have a serious reaction to epinephrine. CAll ahead of your next appt and ask for a needle w.out it. I have been recently diagnosed with panic disorder, and have been suffering panic attacks pretty regularly. I normally don’t get any anxiety when going to the dentist, and the anesthetic injection had never bothered me in the past so I didn’t think that this would trigger an episode. However, during my last visit to the dentist, the moment I received the injection my heart began pounding and I was in full panic attack mode. I thought I had some subconscious fear of the dentist, but this article helped me make sense of the sensation. I am definitely going to let my dentist know about my anxiety, and see if he can offer the alternative anesthetic. Thanks for the info! Hello, I get my teeth cleaned every 3 months and have so for the past 5 years at least and don’t see any end to that in the near future. I have very sensitive teeth and gums so have to get numbed every time. I get numbed in at least 3 of the 4 quadrants. The part that I hate about it is the crazy fast heart beating from the epinephrine. I found your site by reading an article about why that happens. (Very helpful). I wonder how bad is it for my heart to have that happen EVERY 3 MONTHS……. I have noticed this heart-racing the last few dental visits, but it starts a moment after the pre-injection topical swab touches my gums. Are there topical mixtures that include epi? Also, to those worried about long-term effects, epinephrine is like an adrenaline rush you get when you get startled, and for a healthy person should, IMHO, be nothing to fear. Like a ride on a roller coaster or your partner startling you by speaking when you didn’t know they were in the room. Things that get your emotions roiling for hours or days have more serious long-term effects. The book Why Zebras Don’t Get Ulcers looks at that type of research. No wonder so many people are afraid to go to dentist! Why dosent the dentist tell the patients they may feel this way and it will go away in a few seconds? The unsuspecting patient feels this panic not knowing there is a cause and immediately they now aquire a fear of going to the dentist. That’s how phobias and panic attacks get started, the person associates a bad feeling with an event. I went into the dentist for a root canal and my palpitations were so bad that i had to stay lying flat for almost an hour on the chair before i was able to get up. I am nearly 38 and every since giving birth nealy 7months ago, i have had high blood pressure. I am on medication and my lower reading is often high like above 80s. Also I’ve been suffering from anxiety attacks one of the symptoms being raised heart beats similar to the affects of injection! So what caused my palpitations and why did it take so long to subside? Hello Tom & friends. I am an Oral & maxillofacial surgeon practicing in India. I would like to say something about this “BP” thing. Rise in BP occurs only if you have history of hypertension (rise in BP) & with patients who are really afraid of Syringes and Surgical procedures. Injection can cause rise in BP but only when its injected directly into vein or artery rather than having injected in target tissue. I have a problem every time I go to the dentist.They use to give me a shot of Lidocaine and that’s it, my heart would be pounding 100 miles a minute,feel sick and get really hot and sweaty.I also have mitral valve prolapse,so having heart beat’s like that is not good for me.So now when I go to any dentist I ask for anything but Lidocaine. I am not sure what they have been using in place of the Lidocaine,but what ever it was it worked, no more racing heart beats.Until my last dentist visit,he gave me a shot and it did the same thing .He assured me that he did not give me the Lidocaine,but all the same now, I am scared to death to visit the dentist.Any suggestions for me as I really need to see a dentist,but do not want to go though this anymore. This is most definitely true for me! I dont fear the dentist. Last week, I went and had a few fillings done with local anesthetic and nothing eventful happened. Went back 4 days later and had the same done, but this time my heart was racing several minutes after being given the injection. I thought it was so strange because I wasn’t afraid, but my heart was beating as if I were. This makes sense of it! Hi, I recently had general anaesthetic for the extraction of 2 wisdom teeth upper and lower.Im assuming they used epipherine as on awaking I was tacycardic and my bp was 130 and would not xome down for hours.The nurse administered paracetomol through the iv canula and again my heart rate shot up.That was on 21.1.2016. Firstly this article has seriously eased me after reading it so thank you. I went to the dentist yesterday for a tooth extraction. Was slightly nervous nothing major though. My dentist is lovely spoke to me whilst injecting me to ease the situation. She put the needle in my hearing went echoy and strange, my eyes went dark and my heart was pounding out of my chest, I couldn’t control the fact that I was jerking in the chair – was almost how I would imagine a fit would feel. It didnt last long only a minute but I felt odd for about 10. Ive had injections at the dentist many times but never experienced anything like this before. I was mostly worried I had gained a panic disorder but now I know I’m not going crazy lol. Thanks again for this article it’s most helpful. Now I can relax and repair in piece. Sorry no one replied to you Tarize. The doctors are too busy making money. Hope you are feeling better. I, for one, will never get an epi shot again! Hi. I had an injection for my tooth yesterday and I felt my heart beat rising. I think my heart beat settled but since then I feel I have heart pain and am worried if it may continue! What does this mean? The pain is not continuous, but it comes and goes. This is perfectly written article and must be shared with lots of people from around the world. Thanks for writing this wonderful article. Hello, I recently went to a dentist and I requested a numbing ajent without epeniphrine, because I have been having issues with palpitations and I had read that people with any heart issues should request an injection without it. I was expecting everything to go fine and I was without worry. He gave me one injection and everything was fine. Then he gave me a second injection and I felt like I was going to pass out for a bit. My heart felt like it was going to race out of my chest and when I looked down at my wrist I saw that my veins on my wrist were raised and I could visibly see my racing pulse. After a while things were less intense, but I felt nauseous and a bit whiped out for a couple of days and had elevated pulse for a couple of days too. When I called the dentist and asked what he gave me he said it was mepivacaine 3% without epeniphrine. I am not sure that I believe him though. There are things that didn’t seem right about him and I’m not sure he is trustworthy. I have heard that without the epeniphrine, the numbing doesn’t last as long, but my moth stayed very numb for a number of hours. Also, would the raised veins be evidence of a vasoconstrictor having been used? Can Mepivacaine cause the symptoms I experienced? Did my dentist lie to me? I’m 66 and in excellent health…no heart problems. Yesterday I got several injections at the dentist. I counted at least 8 with 2 in the roof of my mouth…just for 2 fillings~! Immediately, my heart started to pound and race and I felt pressure on my chest. It was not nerves…I have no nervousness about dentists and when I go to the doctor’s, my blood pressure is always around 120., so no ‘white coat’ syndrome. But these injections made my heart go crazy. I asked the lady who did the injections and she said: “Oh that’s perfectly normal. It’ll go away in about 3 minutes.” Normal? I asked her why, in my 66 years, I had never experienced this before. She didn’t know. As it was, it was a good 10 minutes before I felt ‘normal’ again. I ask you, dear doctor, who, in their right mind, would make an appt. with a dentist, knowing that they are going to experience a mini-heart attack?? It’s nuts and I will make darned sure that whatever dentist I go to next does not use epinephrine! The fact that there is so much controversy on this should be a tip off to the dentistry profession that it’s time to stop using this drug! And it doesn’t look like anyone replied to 92 year old Tarize. He at least deserves some response. Hi every one. I am a heart patient had a valve replaced. I have to have antibiotics to before any dental procedures. I went to the dentist 3 weeks ago and had the experience you all are talking about. My heart stated pounding hard and I was getting dizzy and my hands started shaking. I told the girl and she stated to me that it is normal. today I had to go and have the crown put on. well for some reason it didn’t fit so the dentist wanted the impression done again. well that meant having the shot again. and yep it did the same thing again. I try not to dwell on things like this because it can make it worse. I just took a deep breath and tried to think of something else. the sensation didn’t last too long about 10 to 15 seconds. I have a good dentist. hes gentle and asks me all the time while there if I’m doing ok. I am a relatively healthy 39yo male with no major health issues. Yesterday I had a filling replaced. I’ve had many procedures done over the last 13 years and my dentist has always used lidocaine. I am always calm and relaxed during the procedures and getting an injection has never bothered me at all. Yesterday, the nerves in my jaw seemed resistant to the lidocaine as I still felt him drilling, so he stepped it up and stuck me with the Septocaine. I had never had that before and knew nothing about it. I just assumed it was something stronger than lidocaine and that was it. So, I know this is completely anecdotal, but my experience confirms this article. The incident yesterday is why I’m even here. I can attest that it was not an anxious reaction to the needle or the procedure. I have given blood, donated plasma, and received more lidocaine injections at the dentist than I care to admit. As for a psychosomatic response, I don’t think so. I had no idea there was epinephrine in the shot until after the fact. Anyway, I agree with this article’s conclusion. Surf Wisely. I am so glad that I found this article. I saw my dentist today to have a lower back tooth extracted and had the same symptoms. When the anaesthetic was being injected I felt like I was starting to panic. And when the dentist and his nurse left the room, while the anaesthetic started to take effect,my heart started racing and I felt like my throat was closing, so I sat up but the heart racing continued even tho I took deep slow breaths. When the nurse returned she told me it was the adreniline from the injection. It seemed to take forever to subside and I felt so scared and I can’t even remember what my dentist told me about it when he returned. He is a wonderful gentle dentist and he removed the tooth with ease. I am 67 and have more work to be done, including possible implants, but this first time experience has really shaken me. Thanks everyone for your similar stories, they have helped. I had many of the experiences mentioned above and I must admit it is comforting to know that I didn’t have a panic attack (as many people suggested). Prior to reading all these posts I did find out that it was most likely the Epi and not me. My question today is this: If my dentist gives me nitrous during my filling procedure and uses Lidocaine with Epi, will the nitrous ‘cancel out’ the reaction that makes the heart race? Thank you for any input/advice. I’ve had several dental procedures in the last few weeks. Not only do I get the racing heart at the time of injection, but for the next days I’ve feel shaky, nervous and dizzy like I’m having an anxiety attack. It seems to slowly go away after a few days. Anyone else have these “longer term” side effects? Rob, yes. When my dentist used epinephrine in his shot and it went into a vein I felt like my heart was going to jump out of my chest and I thought I’d die for a bit. It took me a couple of days to get over it. Felt dizzy, weak and tired. That dentist was NOT supposed to have given me epinephrine. He lied to me. I switched to a dentist I trust. No more issues. You may also be sensitive to the ingredients too. I’ve always been able to feel a little effect from the shots, but nothing major until that dentist shot it in my vein. I visited the Dentist today for a routine clean, as soon as I had the first (of three) injections I felt weird, my heart started to beat incredibly fast and I thought I was going to pass out, I was really frightened. The dentist sat me up told me to take deep breaths and after a few minutes I was fine. She explained it was the adrenalin factor. I am 60 years of age and have had more injections of this nature than I care to remember but have never experienced this before. I thank my Dentist for explaining and thank your article for confirming. hi I have a tooth infection on my number 9 tooth in the front now I notice today that all day my heart was beating very fast do anybody think that is from the infection or should I get it check out I got type 2 diabetes. Does anyone know the odds of having this experience. I have had many fillings in the past but until recently never have I had a reaction to the anaesthetic injection. The dentist was slowly injecting the anaesthetic and I was doing my best to remain calm and relaxed, then all of a sudden BOOM! BOOM! BOOM! My heart was pounding like crazy. The procedure was immediately stopped and I had to reschedule. I was so disappointed in myself because I thought I’d had a panic attack despite being only alittle anxious prior to the procedure. Now I have lost confidence in myself and I’m fearful about going back. I guess I’d just like to know how often it occurs so I can mentally prepare myself if the odds are high. For example: Out of 100 patients, how many would have this reaction? Hi Sarah. I had the exact same experience. And I was scared to go back after that but my new dentist helped me through it. He said it can ONLY happen if there is epinephrine in the shot (a form of adrenaline used to constrict blood vessels and make the shot stay in the tissues longer so the numbing effect lasts longer). You can get shots without epinephrine. They just don’t last as long and the dentist has to work quickly and or do multiple shots. That’s what I ask for from my dentist and I have had no more issues. ANOTHER THING, I’m willing to bet your tooth being worked on was a bottom back tooth. My dentist explained that there are large blood vessels there and when they do the shot there, dentists often have to guess where that vessel is. If they accidentally hit that vessel then all that epinephrine (adrenaline) goes directly into your blood stream and BOOM BOOM BOOM! That’s what happened to me. He said that risk isn’t there with a top tooth AND he said a good dentist will draw back on his syringe first to make sure no blood comes into his syringe (which would be a sign he had hit a blood vessel). If there is no blood then he should be able to safely inject the anesthetic. Hope that helps! Thanks so much for responding to my comment. I only just read it today. You are spot on, it was a bottom back tooth! I’ve since had the tooth capped but unfortunately the sensitivity to pressure, heat and cold has not alleviated. I think it might be time to get a second opinion. I just can’t go back to the same dentist, it’s been about 5 visits for this one tooth already and I’ve lost confidence. Hopefully I will find someone understanding like your dentist who I can have a good talk to about my concerns. The whole incident has such a major impact on my anxiety levels. Everytime my tooth throbs the fear of having to go back again surfaces. The day I can eat/drink/sleep without being aware of my problem tooth will be a very happy day! Today had a back tooth extraction. Heart beat fast, then had a back spasm. Dentist told me it was the adrenaline. He was quite interested when I told him I only get these back spasms in times of great stress e.g. When my husband had an angina attack and I couldn’t speak to the operator on 999 until I had sat down for a while. At least I now know it is my own adrenaline giving me these spasms. Had a back tooth extraction today and suffered heart pounding and then a back spasm. Dentist was interested in my reaction to the adrenaline because I had only had back spasms when I was highly agitated as when my husband suffered an angina attack and I couldn’t speak to operator for a while until the spasm subsided. I now know what the cause was – my own adrenaline . I have racing heart and panic with epi in dental shots. I have had plain carbocaine with no problem but have been so traumatized by past episodes that I go to a surgeon for extractions now where I’m put to sleep. Once a dentist said he did not use epi but I had the same reaction to shot, turns out it was citanest which has same reaction as epi. I am heterozygous for mthfr c677t. One of the snps I have results in my body not detoxing normally. I have a great fear of dentists now and don’t go like I should. Also have MVP with dysautonomia syndrome and should pre medicate. Some say not necessary now according to heart association. Since I’ve had several attacks of SVT(Supra ventricular tachycardia), my dentist won’t work on me unless I get clearance from my cardiologist. But even before these attacks, I notice that my heart rate would speed up and I would get an awful headache. Is there any numbing medication that I can request to be used that won’t cause these effects? Because I really need to have this dental work done asap! I have had many injections over the years without any incident. Today, I had a root canal in tooth #18 and whoa…did my heart pound during a couple of the injections. It scared me; but the doctor seemed unconcerned. I figured it had something to do with the location of injection and the epinephrine; then I found this article which confirmed it! Thank you for the information! Years ago I had dental work done and the epinephrine triggered my ST and my A-fib,I had problems for hours and had to go to the E.R. All turned out well, however I am not to have this type of injection again. I have an alternative injection and it does well! I am 56 and just had to have all of my top teeth out because of my bones being so thin, I was nervous that I was not going to stay numb long enough, but it went well! I just wanted to say I was very impressed with your article and thanks for taking the time to share with us!